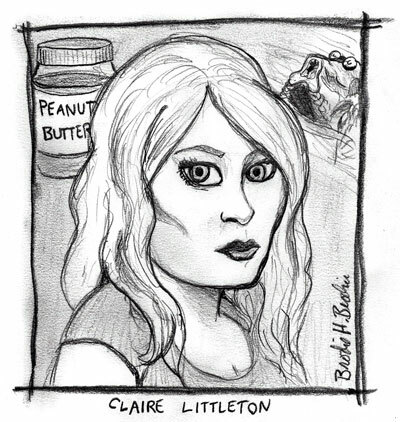 Lost portrait series #17 - Claire Littleton. She's gonna be a mom! She's the loveable sidekick's object of desire! She's ther hero's surprise long-lost sister! SHE'S CWAZY! OK, she's a girl and we have no idea what to write for her... but isn't she pretty? 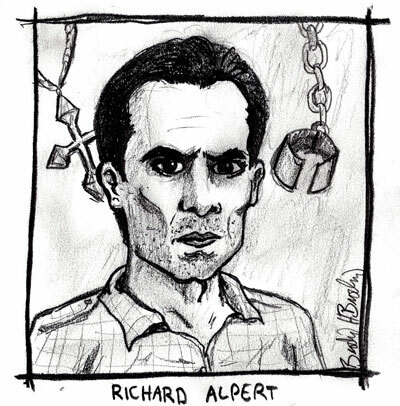 Lost portrait series #18 - Richard Alpert. By now it's a bit of a cliché to make cracks about Richard's preternatural inborn eyeliner, but how can I IGNORE it, I ask you? Lost's biggest mystery.